In addition to our Premium Hybrid Vehicle services, Dave’s Performance Hybrids offers a wide range of repair and preventive maintenance services for all your non-hybrid Toyota family members. "Bring us your dealer estimates!!! We price match competitors!" Regularly scheduled maintenance is the most cost effective means of promoting the longevity of your Toyota. Routine inspections allow for early detection of wear and tear and any potential system failure, assuring your vehicle runs smoothly and safely. Firstly, Toyota has long been considered one of the most reliable vehicles on the market; simply said, Toyota's rarely breakdown. The typical Toyota repair is most likely a minor issue that requires little vehicle down time. Secondly, we love that Toyota’s are generally designed with ample workspace around the engine providing access to any targeted items requiring maintenance or repair. The top selling Toyota Corolla, Camry and Tacoma are well known for their spacious engine compartments that are a dream for any Toyota repair mechanic. In Toyota’s commitment to reliability, they tend to stick with a good manufacturing method when they find it. For example, the Toyota Corolla is a vehicle that has hardly changed its concept for over 10 years, while the Toyota Tacoma only released 2 generations over a 20-year period. With that in mind, newer Toyota models are often devoid of more complex technology that can easily increase the difficulty of repair, often requiring specialized training or tools to address changes in manufacturing. The use of timing chains on many Toyota models is a perfect example of solid design reducing potential for repairs, as opposed to regularly having to replace a timing belt typical of other brands. That said, Dave's Performance Hybrids has the tools, technology, and all the necessary training to address even the most complex Toyota maintenance or repair needs. A long-standing commitment to a reliably lean manufacturing model provides the additional benefit of increased access to Toyota parts as they are needed. As Toyota evolved into one of the top selling brands over the past 4 decades, if not the top, one can be assured affordable and fast delivery of virtually any part necessary for your repair. Sheer volume of sales alone provides broad access to a nationwide inventory, and as many Toyota models utilize the same parts, ease of access is further multiplied. Finally, to drive down import costs, Toyota’s business model brought a majority of their manufacturing stateside which again reduces the cost of repairs for your Toyota family members. Toyota’s marketing campaign states that 80% of their vehicles are still on the road today. 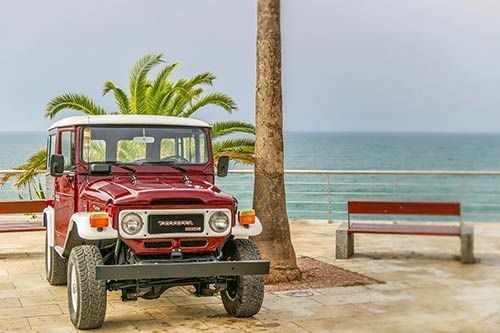 A quick look at the vehicles on the road around you reveals the common theme of Toyota’s longevity as older Corollas and Tacomas are still driving strong, not to mention those die hard old Land Cruisers. The revolutionary Prius, now 10 years old, still dominates the marketplace. Across industry leaders tracking vehicle reliability, Consumer Reports and JD Powers both ranked Toyota as the most reliable vehicle you can own. 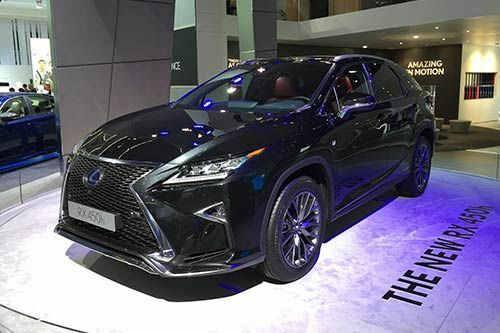 The Toyota Lexus has held JD Powers top spot for vehicle dependability from 2011 through 2018.
Who keeps their cars for the longest amount of time? Almost one third, 32.1 percent, of original Toyota Highlander Hybrid owners kept their vehicle for at least 10 years. That’s the highest percentage of all vehicles. Second on the list is the Toyota Prius at 32%. The non-hybrid Highlander came in third at 29%. Toyota Sienna is 4th at 28.7 %. Which cars get the most mileage? This Forbes article sites a 2014 study by mojomotors.com (now Carfax) shows Toyota as the most driven vehicle at an average of 210,705 miles. This article by Quora sites the Toyota Lexus as the most reliable brand of vehicle for 2015 , 2016, and 2017. All of the reasons to love Toyota cited above, ease of repair, consistent manufacturing, access to parts, and dependability all add up to one thing, savings for you! Toyota’s are inexpensive to repair. According to the searchable Repair Cost Index maintained by the automotive website RepairPal.com, the Toyota Corolla is the least expensive vehicle to maintain and repair, with an average yearly cost of $341. Back to top: Toyota Repair & Maintenance in Albany, Corvallis, Salem, and Eugene, OR.